Just for a bit of fun! Here is our official ‘trailer’ for the Hypnobirthing Australia Practitioners Conference in Brisbane, 2015. Dr Sarah Buckley was our keynote speaker and a number of our very talented practitioners (Pip Wynn Owen, Shari Lyon, Tracey Rose & Vicki Hobbs) also presented some very informative sessions for us. It was wonderful to have the chance to get together. We have over 100 practitioners Australia-wide, so although we are often in touch with each other ‘virtually’ (via our private practitioner forum) we don’t often have the opportunity to all get together in person. Many of us met in person for the very first time during the conference – but it really felt like old friends reuniting! We all feel very blessed to be part of such a supportive group. If YOU would like to be part of a group of like-minded childbirth educators who are passionate about being the change we want to see in the world – then please get in touch with us at Hypnobirthing Australia. You can find out more information about Practitioner Training here. 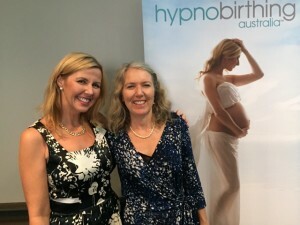 We hope you enjoy our ‘official trailer’ of our inaugural Hypnobirthing Australia Conference. As you can see – we certainly all enjoyed ourselves!